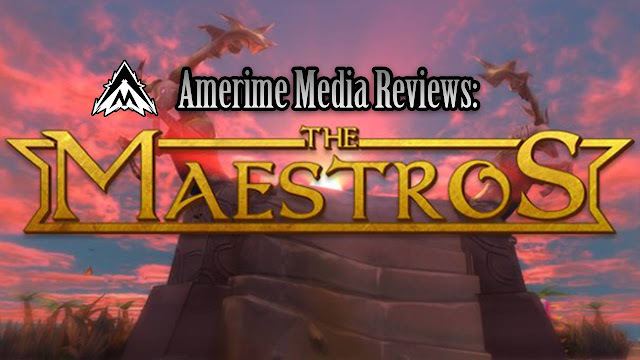 This past weekend I managed to jump into the closed beta for “The Maestros”, a fast-paced MOBA / RTS hybrid, and here are my thoughts about the game. This is a supplementary review, if you want to see my first impressions of the game right after I was done playing it, go check the video down below. The Maestros is a very interesting combination of RTS and MOBA, you can see in the gameplay that the developers wanted to go with a fast pace RTS type of the game, and fast pace it is! If you ever felt like you couldn’t commit to any of the popular MOBA games out there because you didn’t have the time or a group of friends that you can team up with this might be your game. The normal Maestro game boils down to elimination matches. There are objectives in the map that can score your team a victory, but if you kill all enemy generals you win the round. Victory goes to the team that wins the most rounds. In the map, you can find bosses that if you defeat they will join your team giving you a powerful unit and it will lose health gradually in order to balance this unit out. The pace of a match reminds me of an FPS, where you randomly pick up guns and other weapons in specific places in the map. Akin to that, in The Maestros, you can only upgrade your units in specific places that will give you a specific type of upgraded unit. Also, you obtain your units by killing NPCs in specific sections in the map. In the beta, we had a small selection of heroes. You start with the one you play in the tutorial and gradually you unlock more heroes as you rank up. Each hero has a special skill that it can use and makes the hero unique. The rest of the skills are connected to your units and are the same for all heroes. Something to mention is that the skills related to your units have a number, that number is connected to the number of units that you have and it is the number of times you can use that skill before it goes on cooldown. I do have some gripes with the game, most of them did not affect the gameplay, and the ones that did will probably be fixed before release. I did encounter some collision issues with my units, some of my little soldiers got stuck in some trees. I had a little problem with some specials when they missed, I’m talking about the one from the starting hero. When my rocket of death and destruction missed I would’ve expected for it to land close by and at least hurt some units or something. Instead, it went on flying across the map leaving me very annoyed. That’s a small gripe of mine and if just a question of adjusting so no big deal. Another thing that was annoying was the fact I had to continuously click on the ground to move. I would’ve loved to just hold down the mouse button instead of spending the entire match going “CLICK, CLICK, CLICK, CLICK”. In regard to character design, it’s your traditional affair when it comes to games of this genre, and that goes for the art style of the game in general. None of the characters stick out as special in any way, but I hope they add more distinct characters in the future. Also, I like that every character has access to the same type of units but, I would’ve loved for the units to be different cosmetically at least, but again, that doesn’t affect gameplay and it’s just my opinion. My time with The Maestros was a blast! Personally, I’m not a MOBA type of guy but the RTS player side of me enjoyed every single minute of it. Again this game is currently in closed beta and many things can change, so let’s hope that the game only improves moving forward. Did you manage to join the closed beta weekend of The Maestros? What are your thoughts on the game? Let us know. Now I return to the deepest darkest corners of my dwelling. Good-bye, for now, my friends.